Managing people might as well be one of the most exciting experiences in the workplace. But boy, can it be difficult. 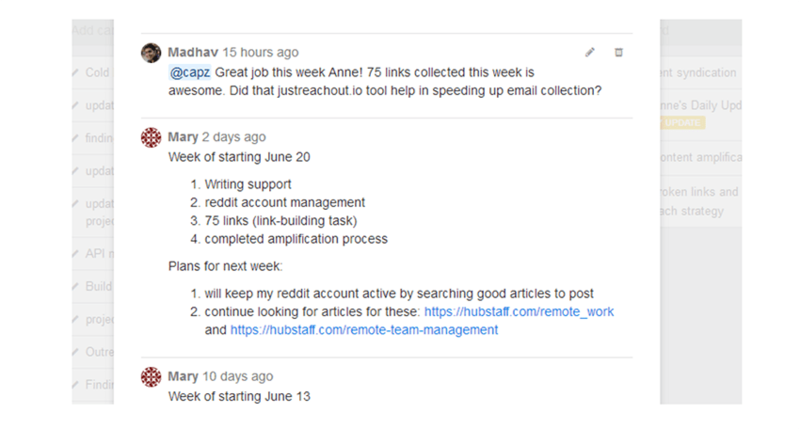 In early 2015, I joined Hubstaff’s marketing team, which was really small around then. The volume of tasks to be done was huge. At one point in time, I was in charge of managing our blog, content distribution, social media and our integration partnerships, so it was difficult to stay on top of everything. It was a big bite. As our marketing team was growing, we decided to divide the marketing tasks and started delegating them to new team members. That’s how after only a couple of months at the company, I transitioned into the role of a manager for the first time. I was assigned to coach and manage another person! It’s been a year since that moment. The number of people I am managing is growing steadily. And it’s been an exciting rollercoaster all the way. There were a number of mistakes that I made in the beginning. I wish someone has warned me about these mistakes before, although I’m glad I learned them first-hand. They’ve been very valuable to me in terms of learning, growing and developing together with the Hubstaff team. I’d love to share some of these mistakes with fellow newborn managers and my insights from them. Here are my seven crucial learnings that every first-time manager should consider. I easily fell into this role too. I would audit every little task people completed – and I would offer my critique until it was done exactly the way I would like it to be. The result wasn’t that good. Tasks would take a ton of time. I would often feel that I should just complete them myself, which is one of the biggest failures a manager can commit. A task that would take me an hour to get done meant at least three hours for the other team members. Why? Because the ongoing feedback on my end seemed endless. After a few weeks, I was exhausted from constant auditing. So I just started doing it much less frequently. It wasn’t intended, I was just short on time. And you know what? The pieces of the puzzle started coming together. That’s when I realized the importance of trust when working with people. You have to allow them to get the job done the way they see it, and not the way you do. I came to see that my role is to be a helping coach along the way, and not a micromanager. People will make mistakes, and this is not something you can avoid. But this is the only way for them to become skillful team members. The lessons from their own errors are what transforms them into super-players. Today, I trust my team to a much higher extent and I do only random audits. I bet on autonomy, and this has worked wonders for me. In fact, one of my team members is so good at email copywriting that it’s actually me learning from her and updating our common processes. This shows that learning is a two-way street too! It is so easy to see the faults in other people’s work – and sometimes difficult to show appreciation. But this is a crucial facet of the manager’s role. I have to admit that I offer my critique unsparingly. I even get annoyed from time to time! But that’s not the way to go. If you keep criticizing people without ever offering inspiration and encouragement, you don’t help them improve. You just keep them stuck with the thought they can never make you happy – and they won’t even bother to try. That’s why I’ve made it as one of my priorities to appreciate and thank people for their good work as often as I can. And informal conversations with the people under your guidance is adamant in this respect. I like to chat with my team members to see if they are facing any issues or if they are uncomfortable with certain tasks. My job is to see how I can help them improve and to enable their development. For example, one of the team members has to do outreach work every week. I aim to understand if there is anything slowing her down. If yes, how can we improve it? Can we automate a part of her repetitive tasks? The manager is there to enable the team to do their best work today – and showing appreciation and care are the key to getting there. By encouraging and demonstrating you value people’s efforts, you create a positive work culture which pays off for everybody. A common mistake when you start managing a team is to overuse email for all work-related communication. One of the wisest things that Dave, Hubstaff’s co-founder, has taught me is to forget about email when it comes to work communication and updates. To stay on top of what people are working on, project management software is the right tool. It gives me a complete overview of tasks and their progress, while not overwhelming all of the team members with flooding emails. We use our own tool Hubstaff Projects (to be released soon!) for managing our tasks. As a manager, you’d prefer all these updates to be added to the main task card, so you can refer to it in the future. This helps both the manager and teammate understand how they can organize their work days to accomplish the common goals. Keeping all relevant communication about a task in one place is also great for tracking the progress on it over time. You consult a single information source and you can see immediately how it has evolved. Note: I’m switching to task updates soon because then I can get weekly updates about tasks on their respective cards instead of general weekly updates on a single card. I’ll update this post once I have implemented it successfully. A typical pitfall of first-time managers is to step back when the most important processes have been set up and are running. But in fact, once you’ve handled the basics on managing your team, it’s time to raise the bar. You can train your team to be in stellar shape by increasing their autonomy and responsibility. You can experiment by creating a controlled situation of emergency to see how they perform and train them to be independent even in your absence. For example, when I go on vacation, instead of keeping track of project updates and chats, I try to stay away and let people tackle situations without me. This is a good way to understand how your team performs if unexpectedly you are not available to guide the work. It’s also a way to identify the responsible ones in your team, as well as the natural leaders (my team is performing amazingly!). These mini-tests are a practical tool for pinpointing the shortfalls in the team chemistry, too. Say, if the team members are not able to take a decision on their own on a certain task, you can work on improving their independence and self-confidence in this area. If in this emergency situation, your team can do a better job without assistance, you have succeeded as a manager. Many managers feel that it’s not their job to do the actual work that their team is executing. They see themselves as responsible only for the managerial level tasks. There’s barely a bigger mistake you can make as a first-time manager. The sooner you can get rid of this mindset, the better. In fact, your task as a manager is to help people do their best work. Covering their back when needed is as important as the daily guidance you can provide. That’s why I do my best to stay on top of all tasks that my team members are performing. Whenever someone is not available, I try to fill the gap and make sure the process can run smoothly. Most of all, I aim not to shy away from any task that needs to be tackled. When you adopt such an approach, you demonstrate to your team that you care for them and respect their time. That’s how you help them feel less stressed, happier and more motivated to give their best for the teamwork. The job of a manager can be tough when it comes to assessing people’s work and being objective about their performance. You can easily fall into the trap of judging people on the basis of superficial perceptions instead of their actual achievements. Along the way, I’ve learned that being metrics-driven is truly useful in assessing team members. We measure marketing channel KPIs, analyze time spent on tasks, and calculate metrics within marketing tasks. 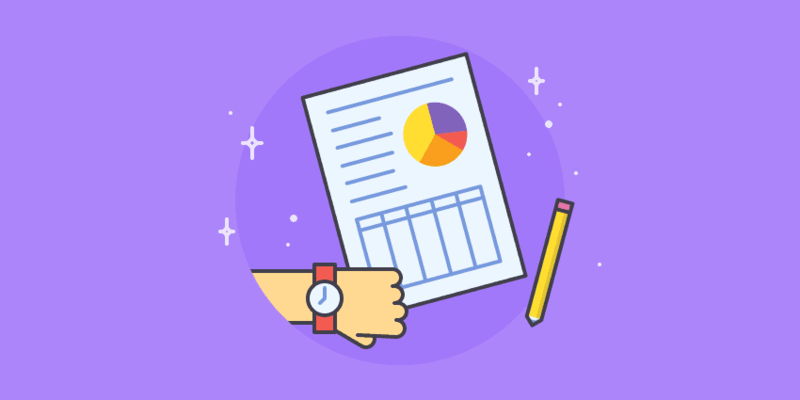 By digging deeper into the tasks of your teammates, without becoming obtrusive, you can gain profound insights into their workflows and task management. This allows you to judge their performance better and, ultimately, helps them be accountable as well. It’s easy for a first-time manager to get disheartened. Yes, mistakes are inevitable, and they are ever so visible when you work with people on a day-to-day basis. But there is one thing we should all remember: we can always get better. It’s been only a year since I’ve taken the role of a manager. I feel I’ve learned more than ever in my life. I’m nowhere close to being a good manager, but I feel there has been improvement along the way. That’s why I feel that most new managers need a bit of encouragement too. We are also human: and we are bound to develop if we set our minds on it. I’m certainly looking forward to the next challenges that this path has for me! The road to becoming a good manager is not an easy one, but seeing your team flourish is truly rewarding. I try to keep an open mind, an open heart and learn along the way. What tips do you have for first-time managers like me? I’d love to learn about them in the comments below.